Leading Manufacturer of edta ferric ammonium from Panoli INA. With the assistance of our skilled professionals, we have become proficient in offering superior quality EDTA Ferric Ammonium that is used as chelating agent and plant nutrient. The offered ammonium EDTA is processed using the best quality chemical compounds and cutting-edge technology at par with the set industry standards. Moreover, our provided ammonium EDTA is tested on varied parameters so as to deliver a pure grade at our clients’ end. 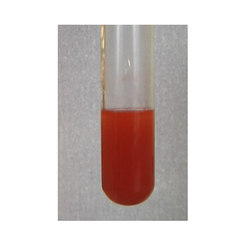 Looking for EDTA Ferric Ammonium ?